Hemlock Public School District is pleased to announce that Lori Gensch has been selected as the new Hemlock Elementary and K.C. Ling Elementary Principal, pending Board of Education approval for the 2017-18 school year. The district received a lot of interest from qualified candidates and went through a rigorous interview process. Candidates provided a digital screener and then had a face to face interview. Finalists were greeted by a panel of eleven people, comprised of two parents, two elementary teachers, two building principals, the special education supervisor, a social worker, the school superintendent, and two board of education members. Board of Education President Dr. Ellison said, "We are excited to have Ms. Gensch on staff at Hemlock where we know she'll continue to lead our growing elementary program into the future. It's especially nice because she was already a Huskie at heart." Lori Gensch will be a familiar face to many of our parents, students, and community members, as she and her family are current residents of Hemlock and her three children, are all Huskies. Lori brings a professional portfolio of experience. She has 14 years as a classroom teacher and has served in a leadership capacity with her current school district, Freeland Community Schools. She has been a grade level leader, building school improvement chair, a member of the math leadership team, a member of the district school improvement committee, a member of curriculum council, and a member of the district crisis team. New Elementary Principal, Lori Gensch said, “I am beyond excited to be joining the Hemlock staff as the new elementary principal and am looking forward to working together to provide the best education possible for our little huskies!" Gensch received her Bachelors of Science in Education, in 2003 from Central Michigan University and went on to receive her Master of Education, in 2008 in Principalship from Saginaw Valley State University. She is excited to work with the amazing group of elementary teachers and support staff at Hemlock and looks forward to leading the little Huskie pack. 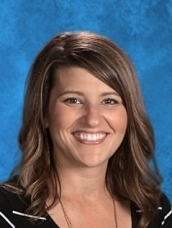 After getting settled into her position, Principal Gensch plans on focusing on continuing improvements that are currently in place such as curriculum development, PBIS/PAWS, and providing more 21st-century learning opportunities through project-based learning units and STEM- related activities.